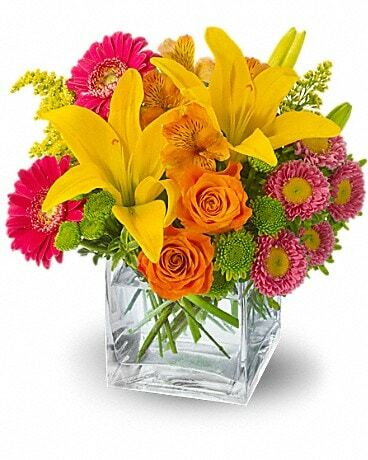 A lovely array of cheerful plants is just the right size for a mid-size desk or table. It's also just the right choice for that special someone. 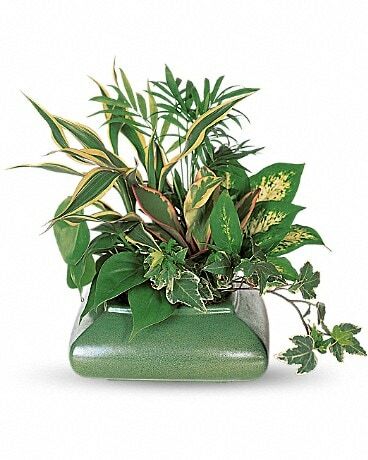 Plants and container style and colors are subject to change based on seasonal availability.